Never believing that you’re out of a game is a very valuable skill. It makes you able to make sure hat you’re never out of a game. It would have been easier last night for us to just assume that we wouldn’t be able to score enough runs to keep a lead going. But then we wouldn’t have won big. Allen Webster had a terrible night. And when I say terrible, I mean terrible. It was, well, terrible. In the first, he gave up a single and then a two-run shot. In the second, he loaded the bases with a single and two walks and then cleared them with a double. In the third he gave up a solo shot, a single, and a lineout before being replaced by Aceves, who gave up a triple that allowed his inherited runner to score. So Webster gave up seven runs in less than three innings. Ouch. At the time, he was exceedingly fortunate that he had excellent run support. Somehow, we managed to survive his implosion by scoring enough runs to generate a one-run lead. Papi led off the second with a solo shot, but the really big inning was the third, during which we scored five runs. 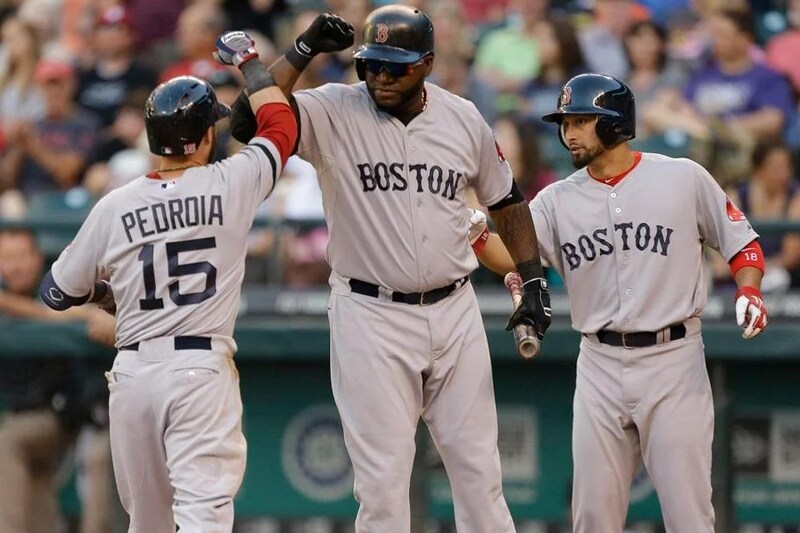 Nava lined out, Victorino singled, and Pedroia smacked a two-run shot. Papi doubled, and Napoli smacked a two-run shot. Salty doubled, moved to third on a wild pitch during Iglesias’s at-bat, and scored on Holt’s sac fly. Nava got hit in the fourth and scored on a single by Pedroia, and Bradley hit a solo shot in the fifth. Breslow came on for the fourth and stayed for the fifth and an out and a double in the sixth. Then it was Bailey’s turn. He finished the sixth and pitched through the seventh. Tazawa gave up a single that turned into a run on a groundout in the eighth. That run would have tied the game at eight had it not been for some clutch hitting in the top of the frame. Victorino appropriately led it off with a solo shot. Then Pedroia lined out, Papi singled, Napoli struck out, Salty walked intentionally, and then Iglesias and Holt each singled in a run. 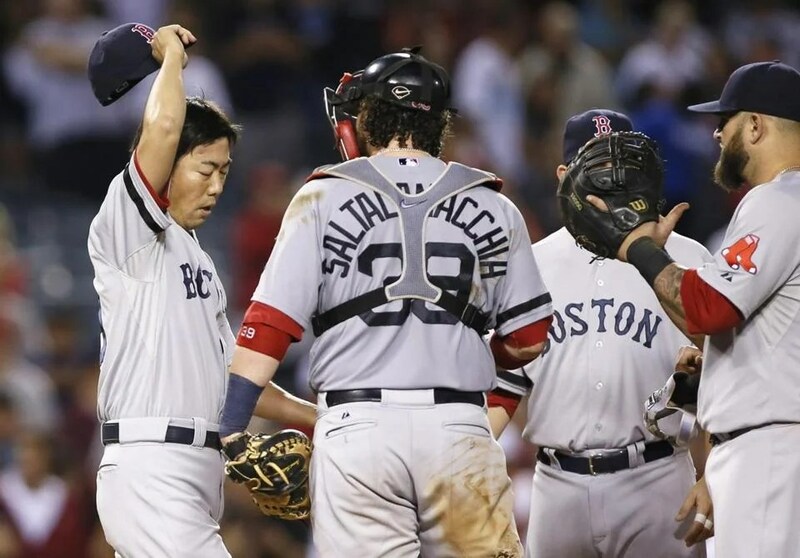 And Uehara pitched the ninth. So, in total, that’s sixteen hits, three doubles, and a whopping five home runs! The score, thanks to our resilient attitude, was 11-8. There are few better ways to celebrate the Fourth of July than kicking back, relaxing, and taking in a textbook specimen of the national pastime. I especially appreciated the victory, because losing would have really put a damper on the festive spirit. I love baseball on the Fourth of July. It would have been even better to have seen the national pastime played in America’s Most Beloved Ballpark, but the schedule is the schedule. It was a great game anyway. Webster got the nod to start and did a great job. He gave up two runs on five hits over six innings with four walks and as many strikeouts. He walked Pedro Ciriaco of all people to lead off the third, and he eventually scored on a sac fly. He gave up his other run in the fifth thanks to a double-single combination. And he ended his start on a fantastic one-two-three note. Just as great as Webster’s start was the collective performance of our relievers, who pitched four shutout innings to hold the Padres at two runs. Bailey got the seventh and miraculously sent down the three hitters he faced. Wilson pitched the eighth and got the first out of the ninth before Breslow took over. In the meantime, we didn’t waste time putting ourselves on top. 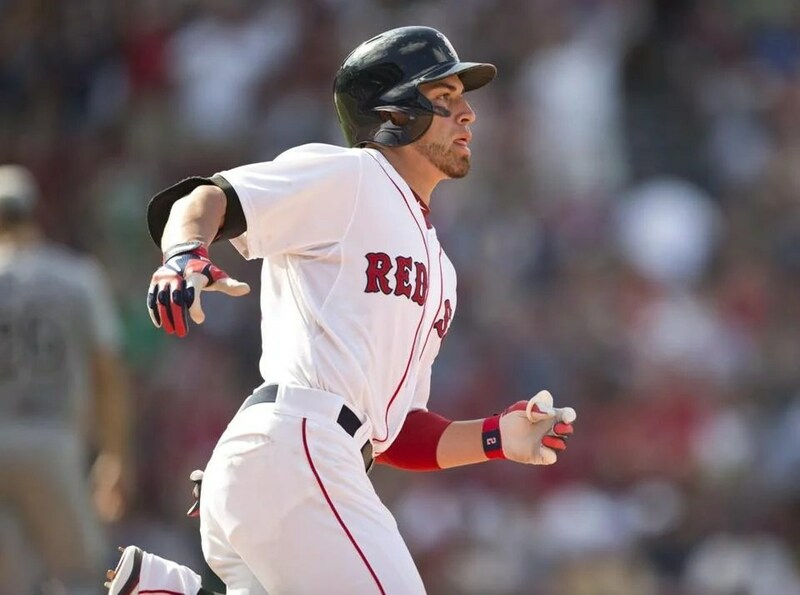 Ellsbury singled to lead off the first, and then Victorino and Pedroia hit back-to-back doubles, the latter of which scored two. With one out in the second, Snyder hit a solo shot to right center field. Napoli led off the fourth with a single and scored on a double by Iglesias. 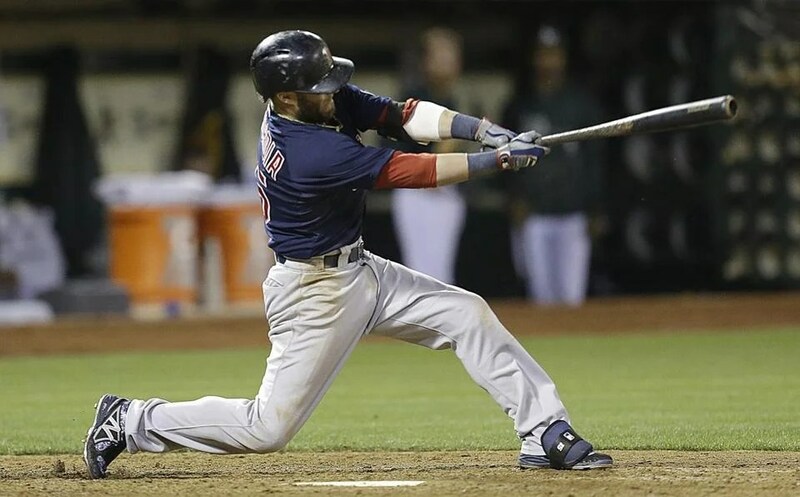 Pedroia led off the fifth with a single but got caught stealing second; Napoli doubled and scored on a single by Gomes. Lavarnway, Iglesias, and Ellsbury led off the sixth with back-to-back-to-back singles. Two outs later, Iglesias and Ellsbury scored on a single by Papi. And last but not least, Ellsbury led off the eighth with a solo shot to right. The final score was 8-2. And that’s the sweep! We scored seven runs yesterday too. Except we didn’t score them all in one inning. We decided to spread them out this time. The game was basically still decided during one inning, but this time it was two runs that made the difference, not seven all at once. Even so, it’s fun to watch us hit in the clutch. In the second, Napoli walked, Nava singled, and both scored on a double by Drew. Ellsbury led off the second with a single and scored on a single by Napoli. With one out in the fourth, Drew doubled but had to be replaced by Brandon Snyder; Iglesias singled, and they both scored on a single by Ellsbury. And last but most certainly not least, there was the seventh inning, without which we would have lost, all else being equal. Victorino and Pedroia led it off with back-to-back singles. Papi struck out, and both runners advanced on a wild pitch, which didn’t matter in the long run because Napoli walked. Gomes came in to pinch-hit for Nava and singled in the go-ahead run. With the bases still loaded, the Jays made a pitching change but promptly walked Salty to give us insurance. Webster took the mound to start last night. Three of the four runs he allowed scored in the fifth. He gave up a single and issued a walk, followed by a force out and then two consecutive RBI singles followed by a successful sac fly. He repeated the single-sac fly combination in the sixth. Bailey came out for the seventh. At that point, we were leading the Jays by one. You know where this is going. With two out, Bailey made a big mistake and gave up a solo shot, tying the game. He was replaced by Miller after that. Miller pitched the eighth, and Uehara pitched the ninth. 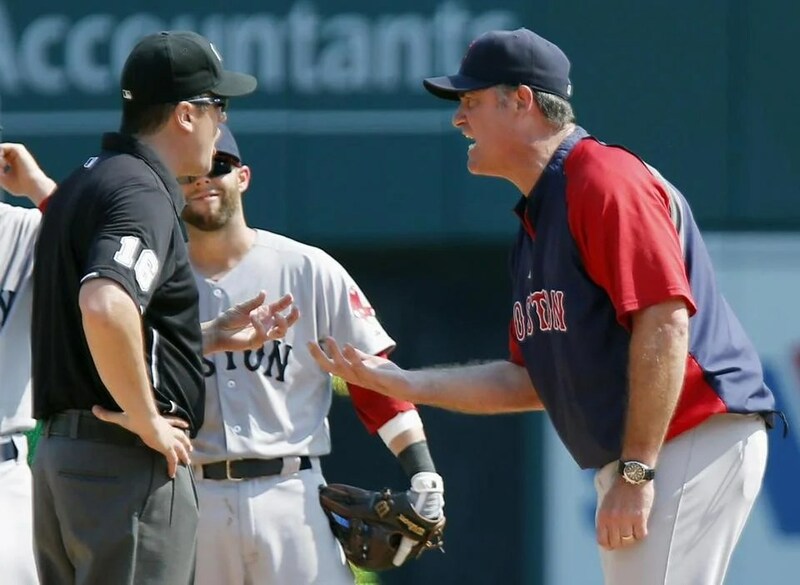 So Webster got a no-decision, Bailey got a blown save, Miller got the win, and Uehara got the save. Because fortunately we managed to pull off a 7-5 win.